Our paths may vary but our goal is unilateral: A commitment to education and student achievement. Emergency Blue Cards are given out each year to students to be filled out by you and sent back to the school. Blue cards are to be updated YEARLY. It is extremely important that the school has the current, correct information for contacting parents or guardians at all times - especially during the school day. It is the responsibility of Parent/Guardian to see that the Blue Emergency Contact Card, which is kept on file in the main office, is completely filled out and accurate. Please notify the school in writing of any changes that may occur, so that we can update official Department of Education forms and databases. If your child becomes ill or it is necessary to close school early due to an unforeseen emergency, we will use the Blue Emergency Card contact information to contact you. It is extremely important that we have ALL CURRENT phone numbers written clearly on the cards. If you have family members or friends listed as emergency contacts please be sure that those adults you list on the Emergency Card know that they have been listed. If there is a significant change (i.e. an address or name change) please contact Ms. McRae, Pupil Acct. Secretary @ (718) 206 -3240 x1013 to have this information updated in the NYC department of Education database. You will need to bring in proof of address for any address changes. The Pridelands come to PS/IS 268!!! These were some of the comments made by those in attendance at the opening night performance of 268 students performance of Disney's the Lion King kids on March 22nd [and Matinee performance on March 23rd. ] It was a packed house and our kids really delivered a spectacular show! Performance goers were captivated by the exciting props and costumes and the excellent acting by our students! It was truly an unforgettable performance that will be talked about for years to come! Please visit our 268 Events page for more pictures of this unbelievable show! Welcome to the Pridelands of 268! Eager parents await the students performance! District 29's Superintendant B. Mitchell and UFT Directors are in VIP seating for tonights performance of Disneys Lion King jr peformed by our students! Staff of 268 bring their families to support our students! A giraffe in the circle of life! Young Simba and a Zebra from the production! Can you spell S-E-C-O-N-D R-O-U-N-D? Abigail C. has earned the opportunity to participate in the City-wide Spelling Bee at Food and Finance High School. Abigail invited all of her 5th grade peers to the Bee to cheer her on. She has made it to the second round of the city-wide Bee! Kudos to Abigail for a job well done! We've been in school 100 Days !!!! A Black history month celebration! Black History Month honors the contributions of African Americans to U.S. history ; On Friday, February 8th, PS/IS 268 hosted a celebration that included an African Dancer, Tamara Jones, who shared traditional dances with our students and families. In addition to sharing some traditional "soul food" that was enjoyed by all! 3rd annual~ P.S. I Love You day! P.S. I Love you day is celebrated annually in an effort to make us aware of the need to spread love. On the second Friday of February, we wear purple to show our support for the message to foster kindness and to show love. Our observance of P.S. I Love you Day is meant to decrease bullying and increase awareness of mental health within our schools community and throughout the world. For 10 years World Read Aloud Day (WRAD) has raised awareness to the importance of sharing stories by encouraging participants to choose a book, find an audience, and read aloud! This movement has gone viral and is celebrated in over 173 countries and counting! Every year, on World Read Aloud Day, people all around the globe read aloud together and share stories to advocate for literacy as a basic human right. This is the first year that PS/IS 268 has joined the movement and we were privileged to have Author, Mr. Kenji L. Jackson, visit our school to read aloud as well as share in a creative writing workshop with our students. See our 268 Events page to view more photos! Our featured Author, Mr. Kenji L. Jackson, "Reads Aloud" to our students in participation of this global event! Ms. Bajaj engages our Kindergarten students with a read aloud book published by our visiting Author, Mr. Kenji L. Jackson. December 21st was Spirit Day at 268! Students had to design an ugly sweater using their own resources and vivid imaginations for Ugly Sweater DAY!! Students designed sweaters with loads of tinsel and shiny things as well as some with flashing lights and even elves on a shelf! We commend all of our students who had a share in creating some very nice "ugly" sweaters! Each class voted for thier favorite "ugly sweater" and winners were given an ugliest sweater certificate!! It was truly a fun-tastic day for all! We can't wait until next year to see what designs our students will come up with! These are some of our ugliest sweater day contest winners! A week long FUN(D)-raising is underway as students participate in fun activities to raise money for the production of our Spring 2019 performance of The Lion King [jr]. From Karaoke, A Hakuna~ matata Dance party to a smorgasbord of baked goods at our Disney themed bake sale, this week is sure to be fun, fun, fun! See 268 Events page to see more photos! 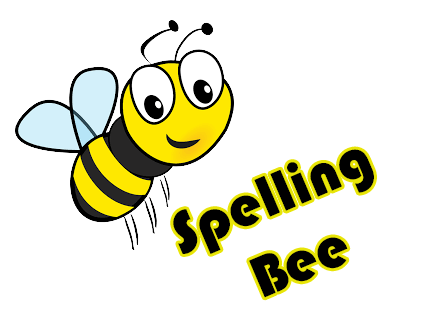 Nov. 9th, 2018 was our school-wide spelling bee! Congratulations to our spelling bee finalist that will be taking part in the Queens wide spelling bee! Staff members dressed as their book character, one as "Starr" from novel The Hate U Give (by Angie Thomas); the other as Pete the Cat (by Eric Litwin) and our Principal dressed as Mrs. Which from the novel A wrinkle in time. PS/IS 268 celebrates its love of learning and literacy by hosting our annual storybook character day! Both Students and Staff look forward to this fun activity where we bring characters to life by using costumes and other simple props that celebrate our love of books! From Mrs. Which (from the novel A Wrinkle in Time by Madeleine L'Engle) to The very hungry caterpillar by Eric Carle ; 268's character day parade was an unforgettable event! Be sure to visit our Events page for more photos! PS/IS 268 observes National Hispanic Heritage Month by acknowledging the contributions of people who came from Spain, Mexico, the Caribbean, Central America, and South America. Recognizing their culture and legacy of traditions enhances our future. Please see our "Events" page to see more photos from our Fiesta! celebrating Hispanic Heritage month. One of our students highlights contributions made from a famous Hispanic muralist who kept the Hispanic tradition and its legacy alive by her artwork. Many families came out to support our celebration! As part of New York State’s commitment to promote responsible fatherhood, one day in September has been set aside for fathers and father-figures to take their children to school as a way of becoming more involved in their child’s education throughout the year. Once again Councilman Daneek Miller attended P.S./ I.S. 268 's "Dad's bring your child to school day" imparting wonderful community initiatives that fathers [and all those in the community] could take advantage of for the progression of our students and their families. Fathers were treated to light refreshments provided by our wonderful P.T.A. and an engaging program organized by our Parent Coordinator, Ms. Simms. PS /IS 268 IS A BEACON FOR IMAGINE LEARNING! Imagine learning is an individualized computer program that our school offers to English Language learners. It is a language and literacy based program. The program is incredibly appealing to young learners who love music and animation. Through songs, charming characters, and visuals, students deepen their understanding of literacy and language concepts like phonics and grammar. The more students use the program, the more information they generate for teachers to assess and target their areas of strength and weaknesses. Students use the program each day at school, but they must use it at home too! They only need to log on for twenty minutes each night. Our students are eager to log in and have been noted to clock record time in the program. For this reason, we have been selected by Imagine Learning coordinators to be its Beacon school for the Imagine Learning program ! Congratulations to Ms. Singh and Ms. Flores for their part in making our students great imagine learners!!! PS IS 268 is presented with a banner from Imagine Learning representative for student record time spent using the program! ENL educators, Ms. Flores and Ms. Singh pose at 268's celebration of Hispanic Heritage month.